2017 Industry Changes That Could Impact You and Your Revenue Cycle! If there is one constant in healthcare, it's change -- and this year looks to be no different. 2017 is already shaping up to be a year chock-full of change. Change that could have a significant impact on the health and stability of facilities and clinic's revenue cycles. Laura Legg, a 30-year veteran and industry professional, gives an overview of four upcoming industry changes and trends to be aware of and prepared for. Centralizing Your Audit Team As the new round of RACs roll out, even the most experienced RAC response team will need to understand the challenges we face with the 2017 CMS changes. Every effort should be made to ensure your teams are efficient and organized with excellent communication skills. Reduce Denial Rate Under the new rules, additional documentation request rates will be affected by denial rates. More denials will result in more requests. Denials still mean long drawn out appeals processes. Send Out Complete Medical Records Include all required documentation necessary to support each case. If a physician orders a test, make sure the order, results, and interpretation are all included with the medical record. Improve Response Rate & Efficiency Takebacks from lackluster response to ADRs requests are more common than you think. Do the process improvement necessary to avoid this costly error. Who Should Explain The MOON To The Patient Clinical staff may have better skills to explain the MOON than non-clinical staff. The patient must understand what the notice means and have their questions answered appropriately. 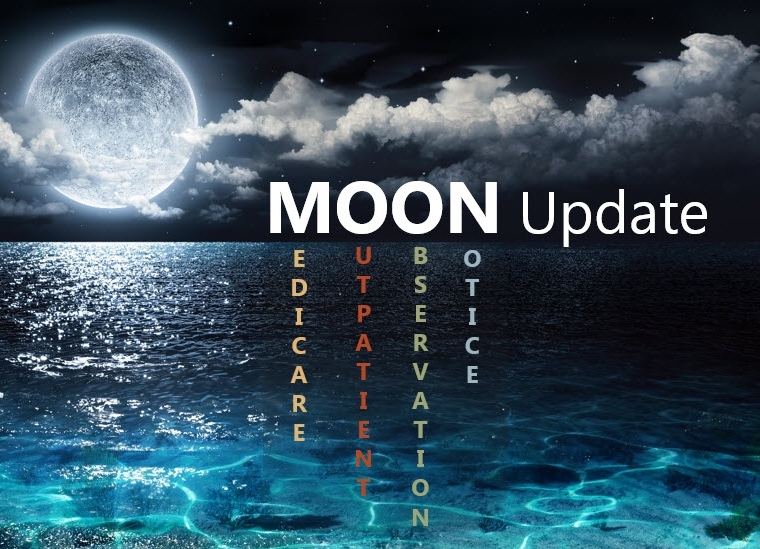 When Should The Notice Be Given The MOON must be given no later than 36 hours after observation services are initiated. What Documentation Must Be Included In The Patient's Record Hospitals must give patients a verbal explanation of the MOON, as well as obtain a signature to acknowledge receipt and understanding of the notice. How Can We Help The Patient Understand Potential Reimbursement Consequences Hospitals must develop a script or guidelines for the verbal explanation of the MOON notice, to guarantee consistent explanation. The response must explain why the patient is an outpatient rather than an inpatient. Case Mix Index Changes In 2016 Did your Case Mix Index (CMI) change following the October 1, 2016 implementation to the ICD-10 coding system? Knowing and understanding the changes to your CMI are crucial in understanding how coding and CDI effect your revenue cycle. Two New Coding Metrics Specific To ICD-10 Monitoring your unspecified diagnoses code rate and coding depth will assist hospital leaders in understanding their compliance with the ICD-10 coding system changes. Breaking Down Silos So The Real Work Can Begin A unified team across the entire revenue cycle spectrum will be necessary to meet the challenges of leaner work teams moving into value based payment programs. Benchmarking High-Risk DRGs Pre-bill audits, peer reviews and documentation templates are just some of the ways to combat high risk DRGS with recurring payment takebacks. 6 Top Diagnoses To Audit Pre-Bill High-risk, problem-prone payer audits tend to target these six diagnoses. It is advisable to keep sepsis, respiratory failure, encephalopathy, malnutrition, functional quadriplegia and acute kidney injury on your radar and ensure compliant documentation and coding before the claim leaves your facility. Documentation Required When Clinical Validation Is Missing Physicians must fully document their thought processes for reaching a possible diagnosis even when some clinical indicators are absent. The 2017 ICD-10 CM Official Coding and Reporting Guidelines do allow the coding of possible/probable diagnoses on inpatient claims. How To Effectively Appeal Denials For Clinical Validation Tackle denials point-by-point. Learn a 12-step process developed by HRG to consistently fight clinical validation denials while continuing to provide excellent care to your patients. Just How Much $$$ Are We Talking About? 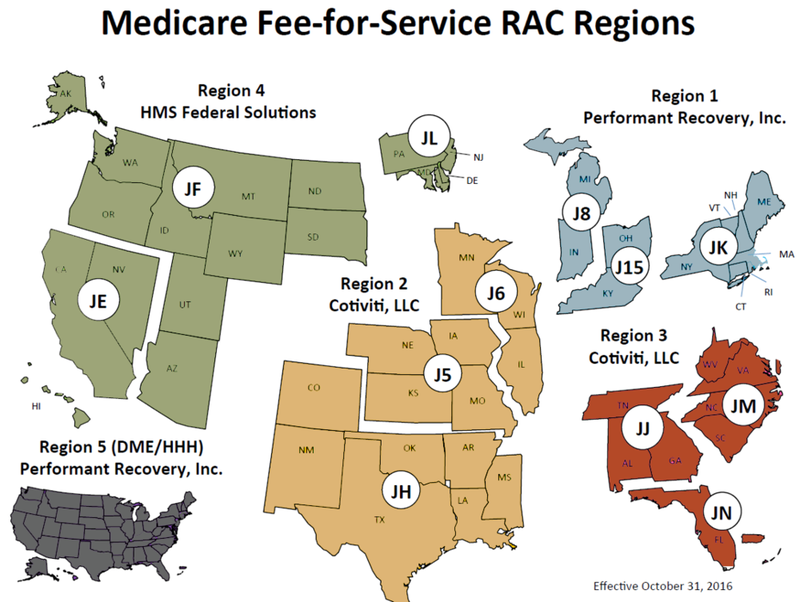 CMS accounts for more than $5 billion recovered since 2009 in Medicare claims alone; many due to clinical validation denials. Laura has 30 years of health information management experience working with acute care hospitals, critical access hospitals, and home services. She is an experienced leader, consultant, coding expert, trainer and auditor. Laura is also an experienced speaker and is often called up to speak for national and state AHIMA meetings. Laura continues to help optimize and improve operations for HIM Departments across the nation as HRG's Executive Director of Revenue Integrity and Compliance. Need help protecting your revenue cycle from the upcoming 2017 changes? Contact Laura and her team today! I want to learn HRG's 12-step process to consistently fight clinical validation denials.